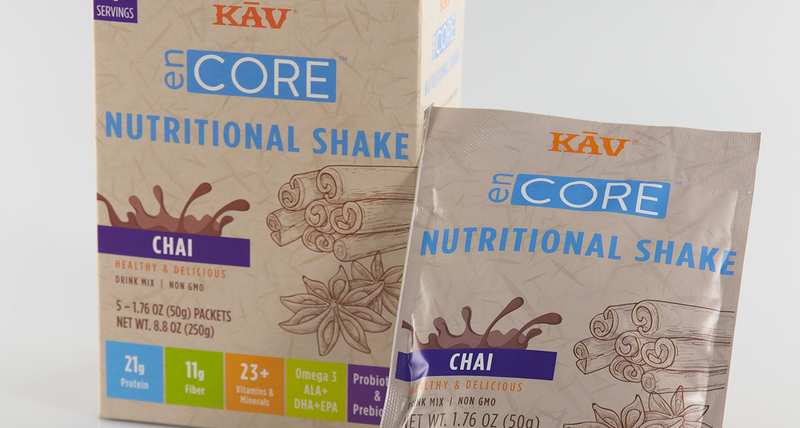 Kav America is a healthy food and beverage manufacturing industry that has over two decades of experience. 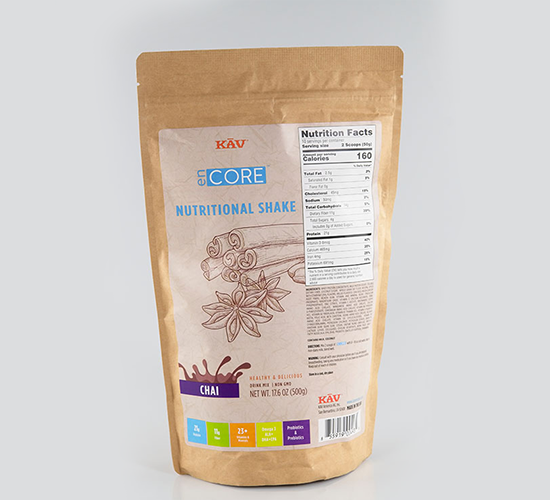 They have an expansive line of beverage mixes that are available worldwide but they wanted to expand into a new market: nutritional shakes called Kav Encore. 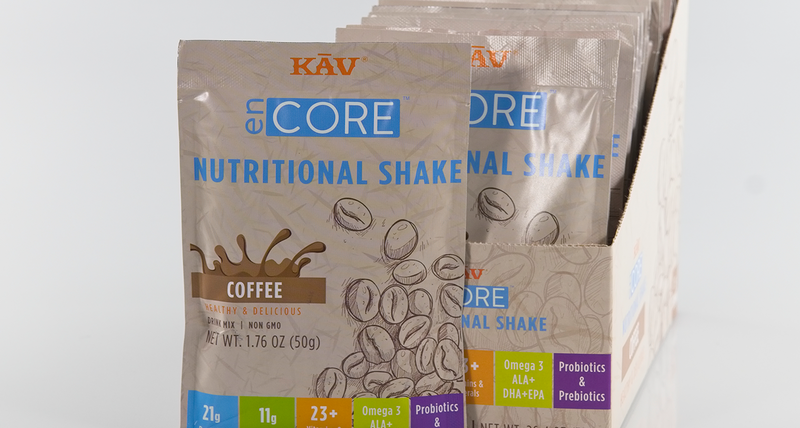 Since this was a completely new product line under Kav America, our designers had more freedom to be creative but the packaging still needed to be cohesive with existing packaging. 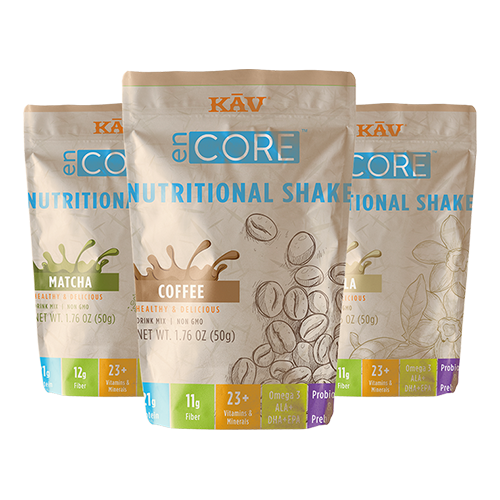 In addition, the packaging needed to match the new logo that our designers created specifically for Kav Encore. Our team needed to put into consideration the different uses of the design, such as for packets, tubs, and even retail pop-ups. 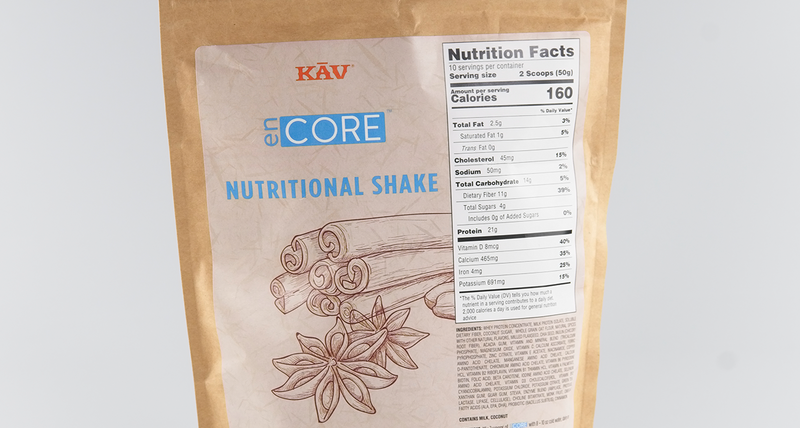 The client wanted this new brand to project a healthy lifestyle image by highlighting the greatness in their taste and the many nutritional benefits so the packaging also needed to reflect that. The packaging also needed to incorporate more graphics rather than being text or font heavy. Our designers looked to many other health supplement brands for inspiration, like Cliff Bar. 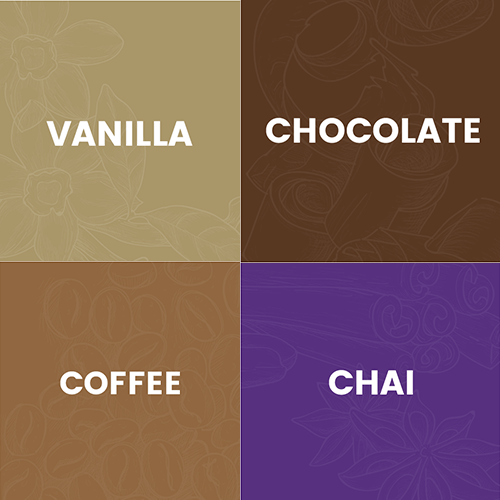 Our designers utilized vector graphics to design different packaging for each of the flavors: vanilla, chocolate, coffee, chai, and matcha. 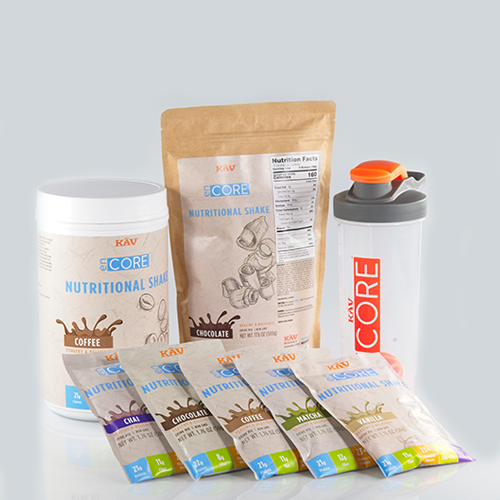 Each flavor has in-house illustrated vector graphics to represent the different ingredients. Our team also used earth tones for the color scheme to convey a healthy and organic tone. In addition, all of the patterns created for the packaging were designed with the intention for easy duplication across multiple products and even to be used on the website. It is also easy for our designers to add an additional flavor to the line in the future without needing to update any of the previous packagings.